Traveling with a pull-behind style camper means bringing tons of modern conveniences with you, wherever you go. We must say, if you’ve never spent a night in one of these campers, you need to give them a shot. Even the most “old school” campers among us at 50 Campfires appreciate the comfort level provided by pull-behind campers. These luxuries and comforts do come at the cost of more practical considerations that you wouldn’t find in a tent. Are you new to pull-behind campers and have a few questions about these “considerations?” You’ve come to the right place. First-time campers using a pull-behind camper trailer normally have questions. We know we did the first time we loaded up to head down the road. With this is mind, we set out to create a series of easy-to-follow, no-nonsense video guides called Trailer Tips. Bob Rogers, from Lancer Campers, joins 50 Campfires to explain the ins and outs of everything camping trailers. 1. 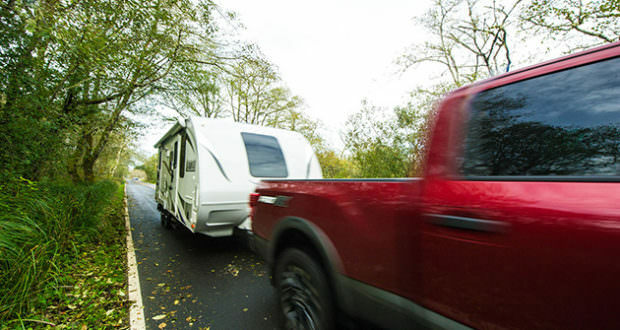 Do I need a special vehicle to tow a travel trailer? Travel trailers come in all shapes and sizes. Click the video below to see how your vehicle’s towing capacity will keep you safe on the road and prevent possible damage to your ride. 2. How can I minimize trailer sway? Every trailer camper’s worst nightmare: trailer sway. Controlling trailer sway is pretty simple with modern technology. 3. How do I level my trailer? From wet to uneven ground, properly leveling your travel trailer is super simple with a couple key pieces of gear. 4. Should I tow my trailer with a full or empty water tank? Does it really matter if you fill up your water tank at home? Bob dishes the dirt on this age-old question in the video below! 5. How do I hook up water and electric? Owning a travel trailer means having access to modern conveniences. Like water, electric, and even satellite/cable. What a time to be alive.